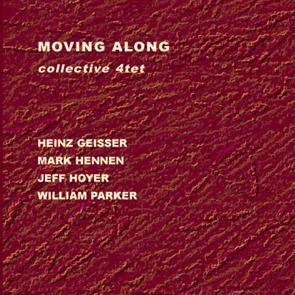 This is the fifth CD by the Collective 4tet in Leo Records catalogue played by the same line up of musicians: Heinz Geisser - percussion, Mark Hennen - piano, Jeff Hoyer - trombone, William Parker - bassviolin. Reviewing the work of the 4tet, many writers came to the conclusion that this group personifies the best that free jazz has to offer. The musical language on this recording is more advanced, even deeper than on previous CDs, freer and looser at the same time.